Mouse's World Tour at 2 p.m. Sunday, Feb. 24. 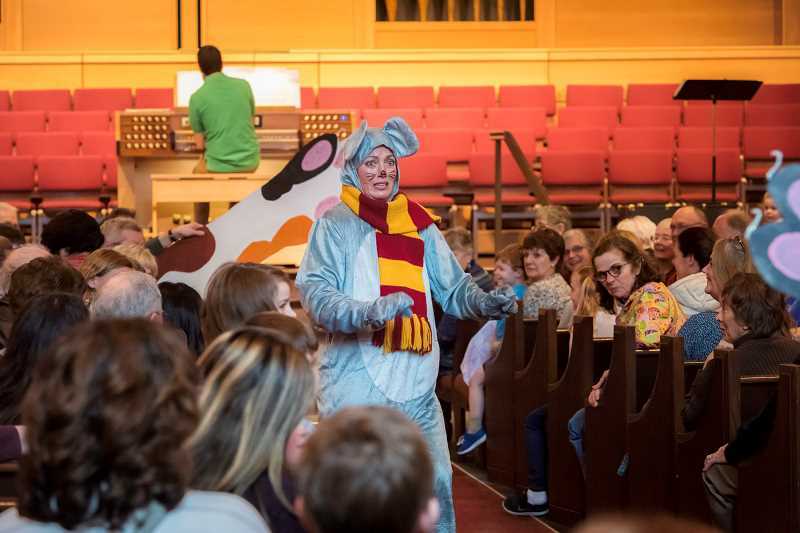 After delighting the audience last year with music, dancing and crazy mouse antics, the Church Mouse has spent the year traveling the globe, and will share some of the great music she heard along the way, said LGPC organist Jeff Wood. 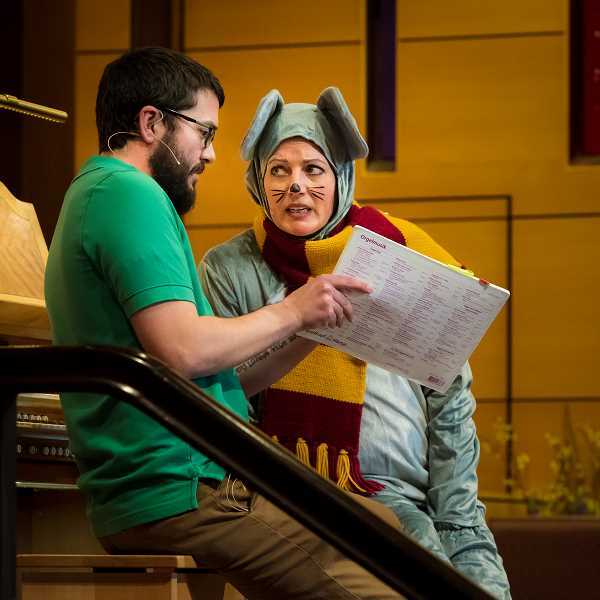 "Renowned local actress Pam Mahon will return in the role of Church Mouse," said Wood. "She appears frequently with the Oregon Symphony in their series of Kids' Concerts, in addition to many other roles throughout the Portland area." Mahon says she thoroughly enjoys entertaining and educating the youngest audiences in the guise of a mouse, major general, cowgirl, superhero or an alien from outer space, to name a few of the zany characters she has played over the years. She also performs as host in the Oregon Symphony's school day Kinderkoncerts, Young People's Concerts and Carnegie Hall Link Up concerts. The musical portion of the program features piano, organ, flute, African drums, bass and more. The concert is a gift to the community, and also a benefit for the church's Pink Eraser project, which provides aid to children in need in the Lake Oswego School District. "The Pink Eraser project started out holding school supply drives," said Kirsten Carnese, who leads the ministry. "But the program has expanded as needs have expanded. The proceeds from this concert will be used to provide emergency funds. We work closely with school counselors and homeless liasions and can provide emergency housing funds, dental funds or whatever is needed." Carnese says there aren't a lot of places families can go to receive aid. The Pink Eraser project serves about 100 students each year. The concert Feb. 24 is free and open to all; a freewill offering will be taken for the Pink Eraser project. The concert will last about an hour and be followed by a reception. Lake Grove Presbyterian Church is located at 4040 Sunset Drive in Lake Oswego. Services are held at 8, 9:30 and 11 a.m. and 5 p.m. each Sunday. To learn more visit lakegrovepres.org or call the church at 503-636-5656. There is one more concert in the series with performances at 7 p.m. June 8 and 2 p.m. June 9.